The Estates is intimate with only 18 homes in a quiet cul-de-sac near all of the best Gig Harbor amenities. The Maple is an open floor plan with 2858SF, 4BR 2.5BA + 3-car garage with a sizable backyard that backs up to nearly 5 acres of permanent greenbelt. 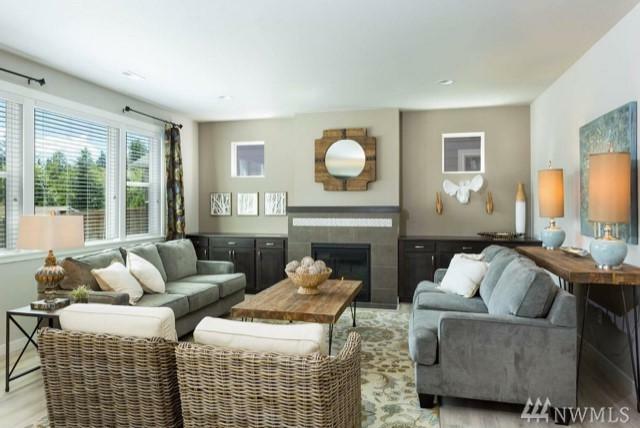 With more standard luxury features than any other Gig Harbor builder, this home has SS appliances, plush carpet & scratch-resistant flooring, quartz counters, high-end cabinets, gas fireplaces - the list goes on! Est. Completion 3/2019.